2 Inch ABS Combination Tee-Wye, ABS Construction. This particular fitting is a Combination Tee-Wye for ABS Pipe applications and has a solid ABS (Acrylonitrile Butadiene Styrene) construction. It measures 2 inches by 2 inches by 2 inches creating the three inlets and outlets. A Tee-Wye is used in a piping system and has a gradually sloping center part which makes it easy to transport waste through a stack, eliminating the possibility of clogging. In order to properly install this fitting, ABS cement is required to secure the combination tee-wye to the existing pipe and also to create a strong connection for other pipes and fittings in the system. Unlike PVC, ASB fittings and pipe do not need a “primer” in order to soften the pipe and create a solvent weld. This will save you time as you fix or construct your plumbing system. 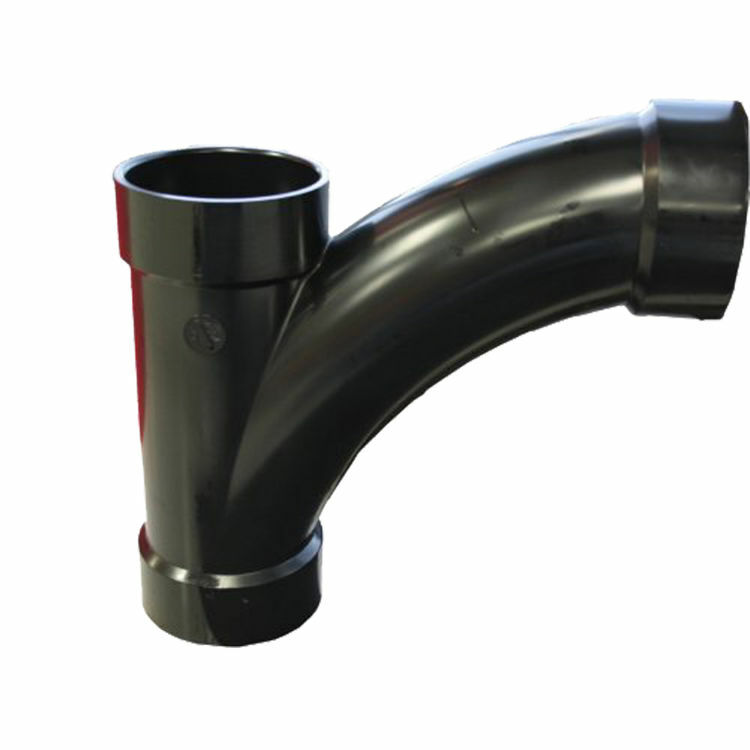 ABS pipes and fittings are used in a wide variety of DWV (Drain, Waste and Vent) applications. It can also be installed above or below ground due to its ability to be resistant to most acids, salts and alkalis.